Francisco has a Bachelor of Science in Microbiology; he has been with MSA since 1999. He is a licensed 100 ton Captain and a First Aid, CPR,Lifeguard trainer and former EMT. His experience as a sailing commodore brings vital skills to the organization. 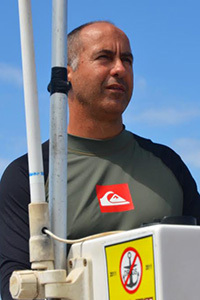 In addition, he holds certification in open water scuba diving. Francisco brings decades of seamanship experience to the organization.